A friend pointed me to your blog. I look forward to reading more. I had heard about toy rotation a while ago, I thought your article was very well done and full of good tips. I have been doing toy rotation since June, when we moved house. Having all the toys in boxes helped implement it. I do not own that many toys though! 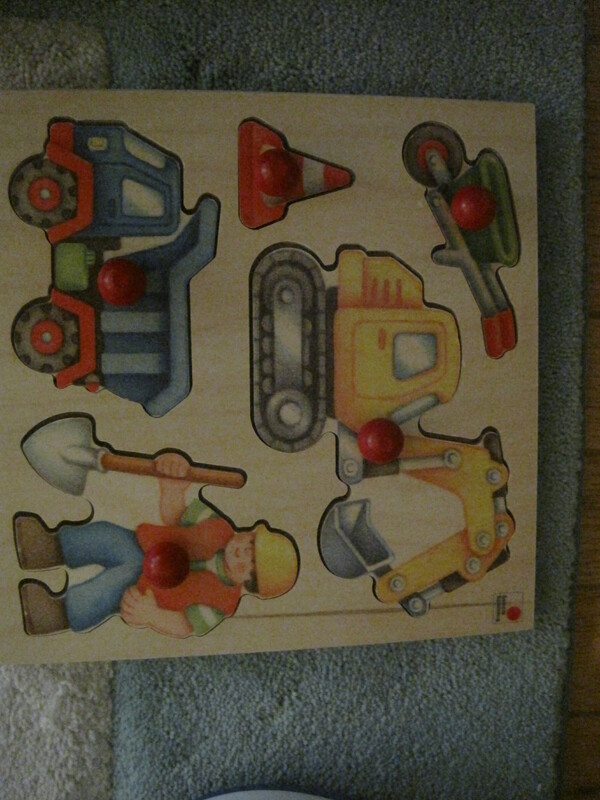 We have only 1 or 2 toys per category , except art and building, but logic/maths/puzzle is all one category here. I appreciate those categories though because that gives me ideas for Christmas and birthdays. I agree with the less is more! Children need space to play more than the toys themselves. Anyway I rotate the toys every other week or so. Some get to stay out for months at a time (the ride on motos, the duplos) because they don’t seem to get tired of it. Now I rotate books too. We have 3 kids (almost 5, almost 3 and 4mo)…how would you suggest tweaking this for more than one child? 2-3 choices per category or 2-3 per child? 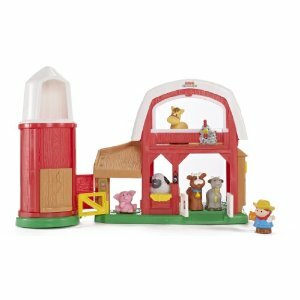 I love the idea of toy rotation but how do you handle large item sets (little people, barbies/princesses/doll house/accessories, baby dolls/accessories/clothes, etc)? 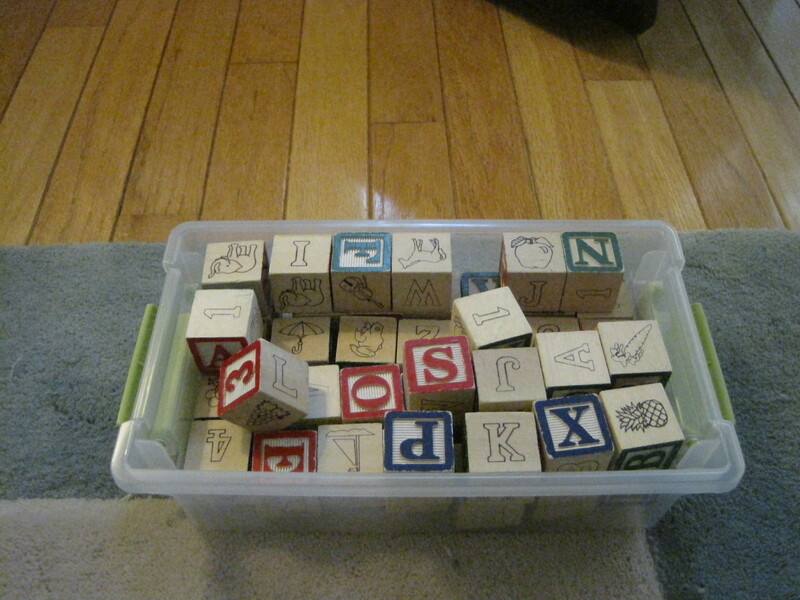 We have a large foam building block set…is that “one” toy? We have a bunch of play balls…how would we rotate those…a few at a time or do they just stay out and not rotate? 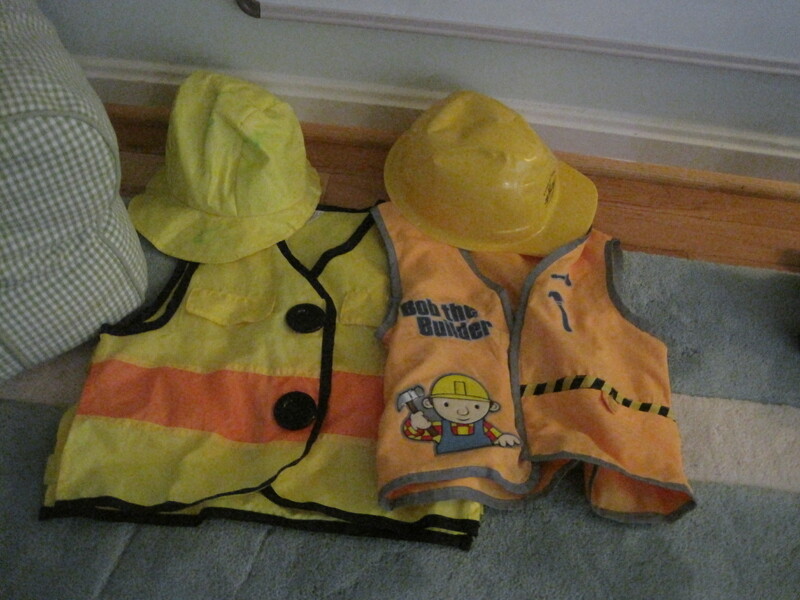 We have TONS of dress up outfits and accessories…suggestions? (make themes and put out whatever dress up goes with the theme…or…separate the dress up between the rotation bins??) 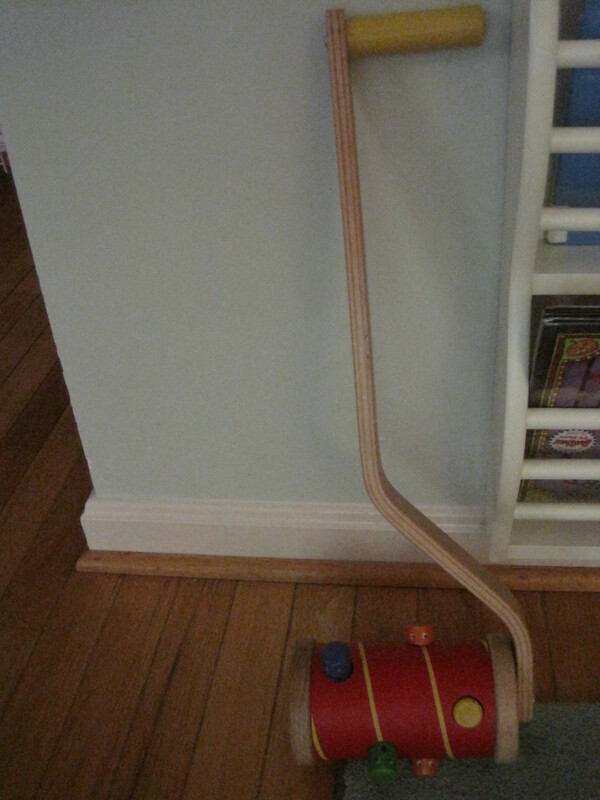 We have two levels of our house that get active play (upstairs – bedrooms and living room, downstairs – playroom)…separate toy rotations or separate one bin between the two levels? Suggestions for coloring books, play doh sets and art stuff? Hi Amy! 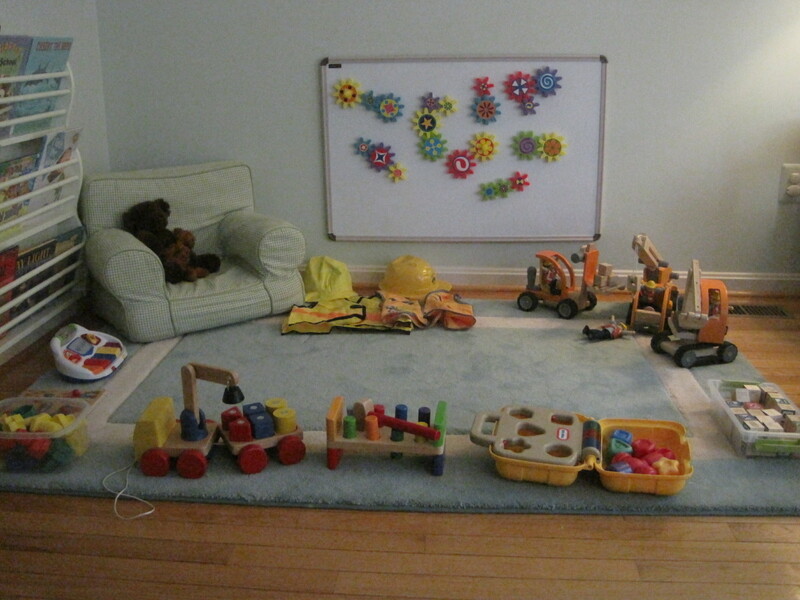 To start, for 3 children under age 5 you want to aim to have no more than a dozen toys in one play area that you rotate. That being said, you might have upstairs and downstairs areas and different items that you rotate in each room. 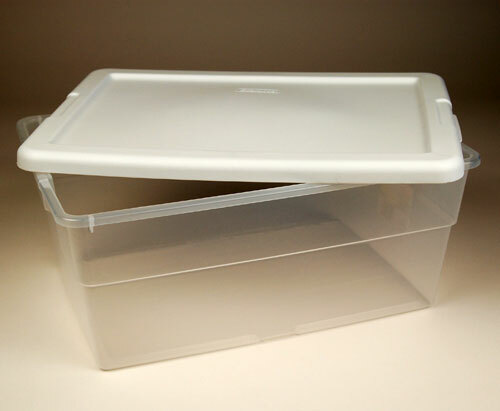 For big items, you can leave them be or every month or so put them in a new place. 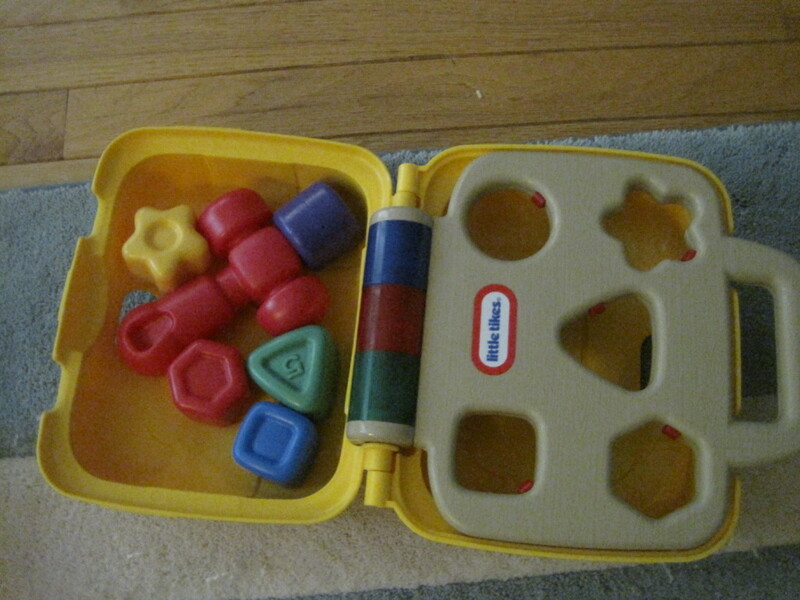 I count one set of toys as one… so a set of blocks is 1 toy. Try not to put out too many sets in one place otherwise they start getting mixed and you loose pieces. As for dress up, it is great to always have all your dress up available, but perhaps you can display 2-3 items at a time… installing 2 hooks in the wall is a cheap and painless way to be able to put fresh dress-up on display. 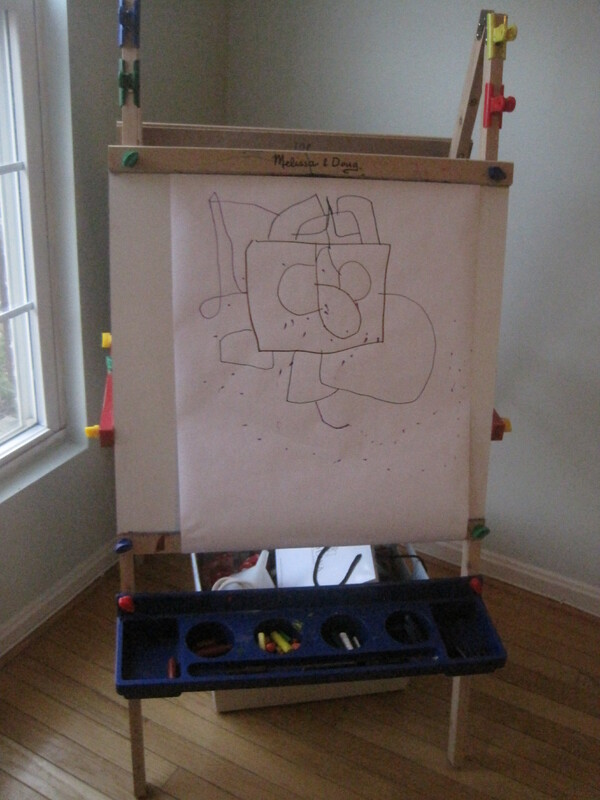 I would keep art supplies all in one area where mess is OK, like the kitchen (see my article on Art Centers). Take all your rotation in stride. Focus on rotating in one area weekly, then add in other areas of the home as time and sanity permit. Good luck! Thanks for having such a wonderful and informative website! 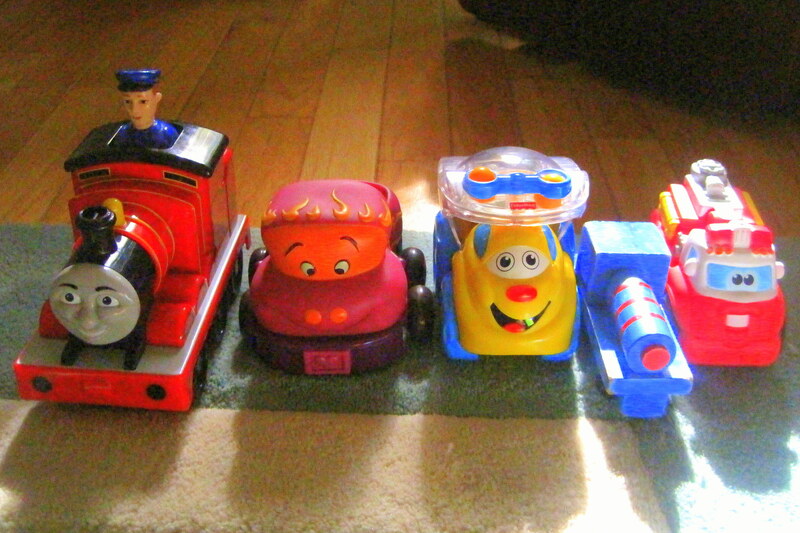 At what age do you recommend to start doing toy rotation? I have twin 10 month olds. Any suggestions on if to keep out the duplicate toys we have because people like to buy them two of items? 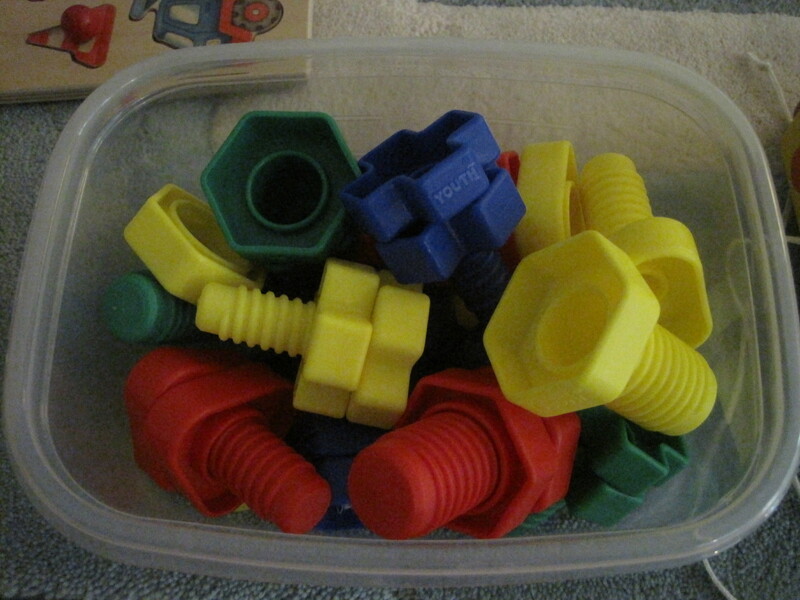 The duplicates are usually small like manipulatives or balls. Thanks. Definitely keep two of the same two toy out at a time with twin babies. I’d count the set of two as just one toy. 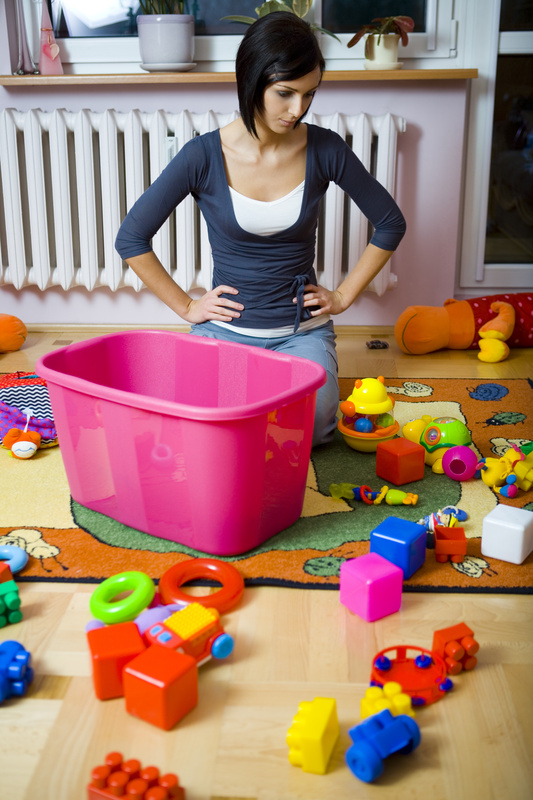 To reduce clutter, keep about 5-7 toys in one area at a time. Usually the big toys are ones that need duplication for twins– like 2 ride-on cars. There is usually no need to have duplicates of smaller toys, just as long as there is something else that is similar so everyone can play. For instance, one medium red ball and one smaller spiky ball. 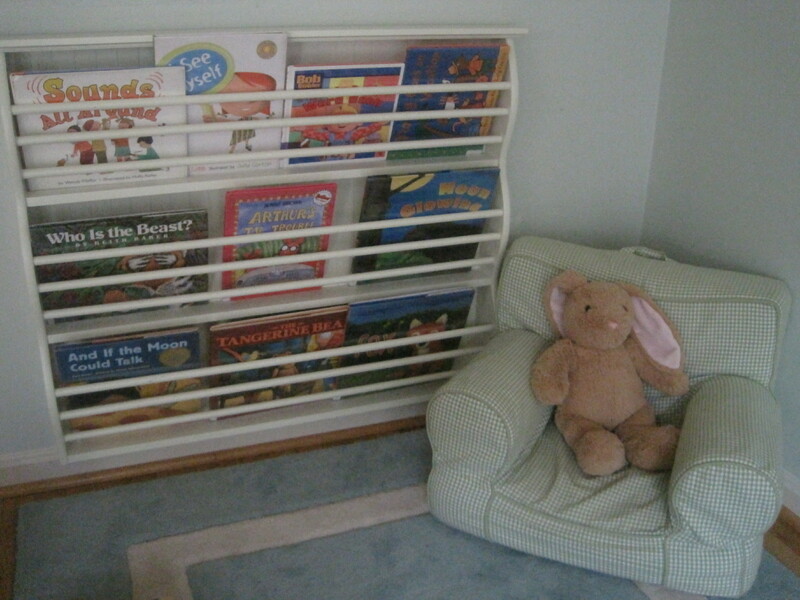 Toy rotation is more effective the younger the children are and so you can start right from birth. 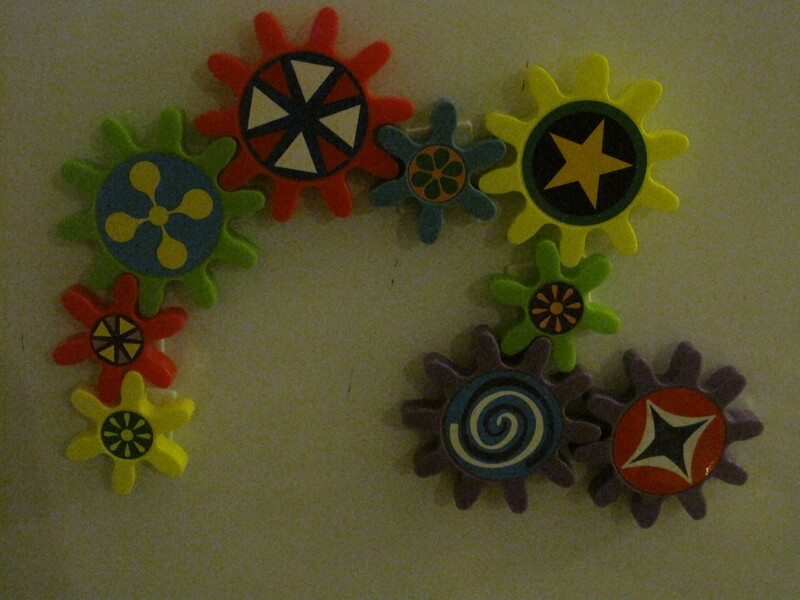 Toy rotation phases out around age five or six. 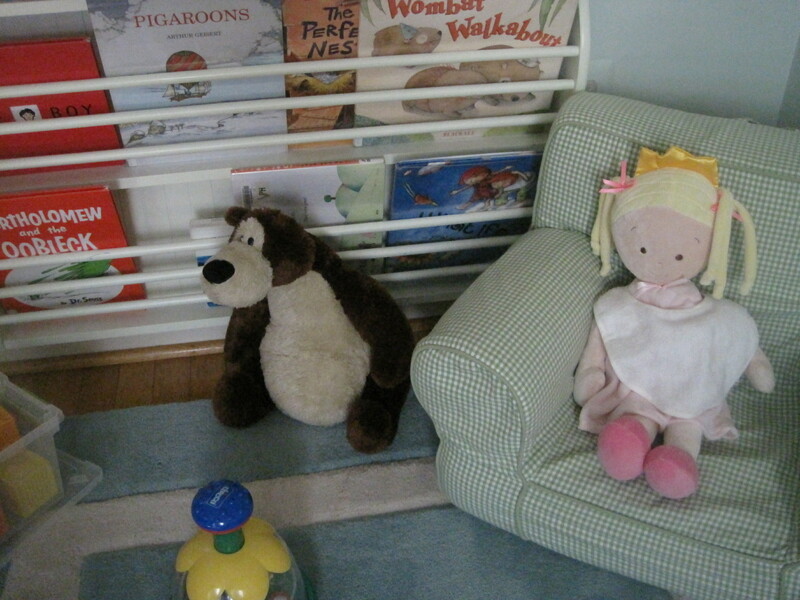 I am offering my Play & Learning seminar which covers toy rotation next week via webinar. 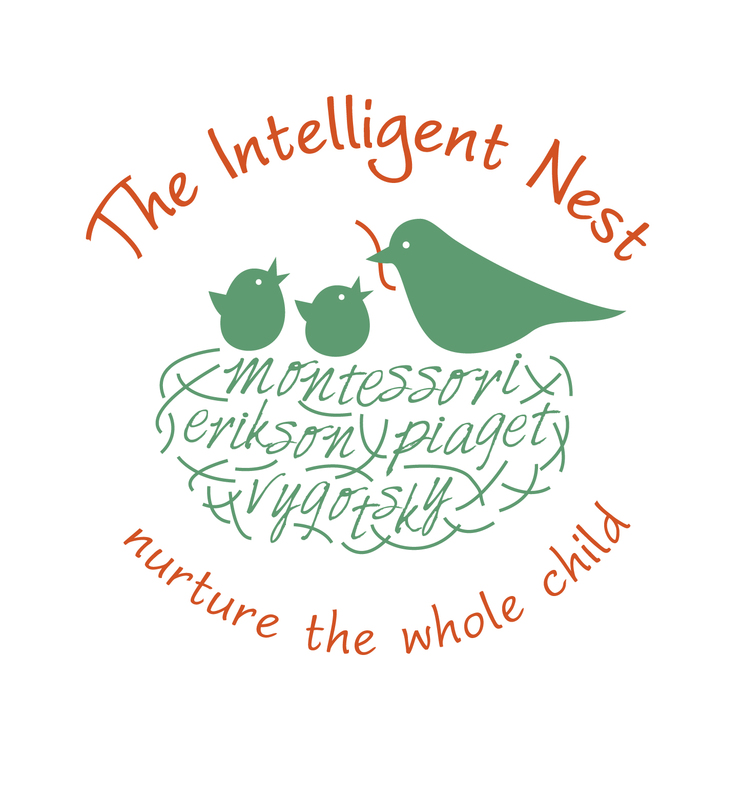 If you are interested you can register here: https://www.anymeeting.com/IntelligentNestLLC. I LOVE this idea, and day after tomorrow I am going to go get some bins to implement it. The one thing I can say is that there is no way ONE book would do it for my kiddo; my ttwo year old wants three books before we even leave the bedroom in the morning. Thanks for reading IN.com. I love that your kids LOVE their books. Keep it up! Great question Angie! I would count the ribbons/strings as art supplies, the kitchen utensils as imaginative play and the carpet samples as a type of manipulative, but these are not hard and fast recommendations. 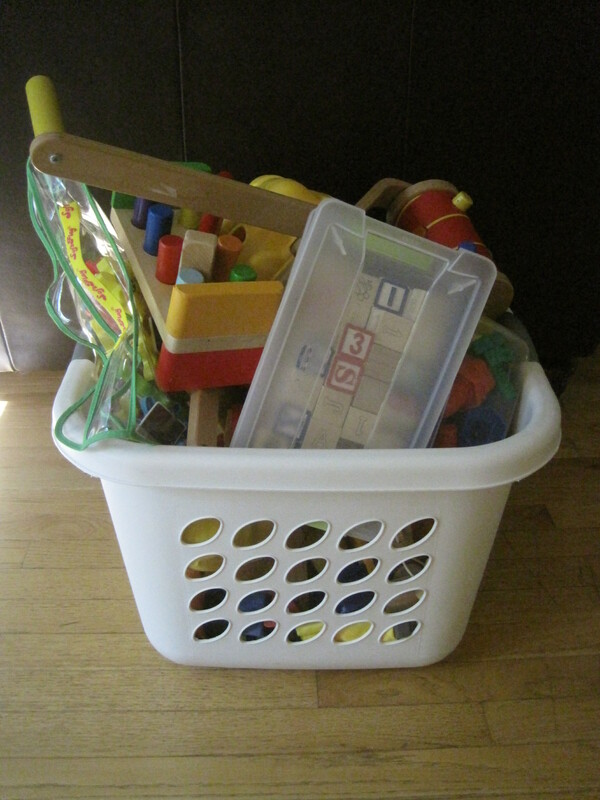 I keep a basket of random things in our bedroom for the kids to experiment with while we get ready in the morning, just for the express purpose of having a place for things that don’t really fit in. 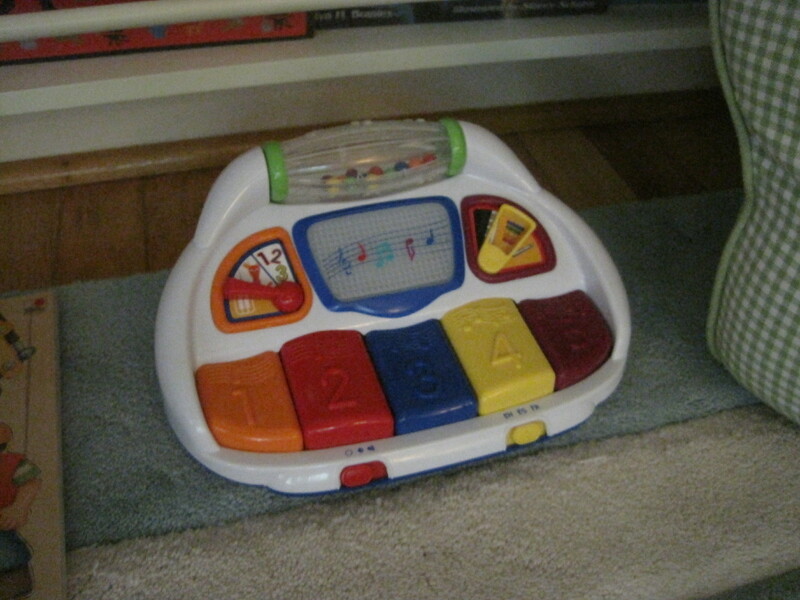 The carpet squares sound like an awesome toy!